[V] HITS will screen the 2016 Billboard Music Awards Live from Las Vegas on Monday May 23rd. 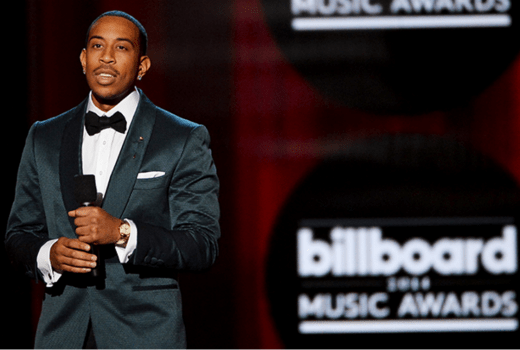 Ludacris will be co-hosting for the third year running, joined R&B performer Ciara. Britney Spears will receive this year’s Billboard Millennium Award. Award-winning singer-songwriter P!nk is scheduled to perform during the show, debuting her new single “Just Like Fire”. The original song will appear in Disney’s upcoming film Alice Through the Looking Glass, which hits theatres May 27. This is P!nk’s first single in three years but she has previously had 4 singles at #1 on the Billboard Hot 100 chart and was named Billboard’s Woman of the Year in 2013. Renowned superstar and Las Vegas resident, Britney Spears will receive this year’s Billboard Millennium Award recognising outstanding career achievements and influence in the music industry. Past Billboard Millennium Award recipients include Beyoncé in 2011 and Whitney Houston in 2012. Spears will also join the line-up of musical acts at the show when she performs a medley of her greatest hits. The three hour long special will recognise this year’s top artists in a variety of genres, including R&B, Rap, Pop, Country, Rock, Latin and Alternative. Major pop culture moments will be featured throughout the night with huge performances and collaborations by music heavyweights. Broadcasting Live from the new T-Mobile Arena in Las Vegas, the event will be the first ever broadcast from the new venue. Finalists for the 2016 Billboard Music Awards top artist include Adele, Justin Bieber, Drake, Taylor Swift and The Weeknd who is leading the finalist pack with nods in 16 categories including Top Artist, Top Male Artist and Top Hot 100 Song. Justin Bieber comes in second with entries in 11 categories including Top Artist, Top Male Artist and Top Hot 100 Artist. Taylor Swift is trying to beat her own all-time record for the record number of BBMA wins. She currently holds 20 wins which is the most wins in history for any artist and this year Swift is a finalist in eight categories which could see her collect even more. Justin Bieber and Adele are also vying to surpass Swift’s record. Justin Bieber is the second highest winning male, second to Garth Brooks who has 19 wins under his belt. If he takes home more than eight wins from his 11 nominated categories, Brooks has the chance of beating Swift’s current all-time leading record. Live 10am Monday May 23 on [V] HITS. They’ve spent the last two months trashing the [V] brand and trying to reduce it to nothing more than a clips channel and now they go and put a big event on it? Surely they could put this on Fox 8, in HD, and save themselves the embarrassment of having to put big ticket programming on a channel they’ve effectively closed down.